Gala Captain Sharratt was surprised to see 12yo Dylan Pearman playing at 5 for the Haddington clubs full team – but it soon became apparent that young Pearman was more than capable of handling the pressure of the East Leagues. Indeed the youngster has travelled the country representing East in the Scottish U-13 Region championships. It was rare to see two left handed players on the same court and it made for a spectacular match. Sharratt knew he was in for a hard match after sneaking the first 16-14 as Pearman wouldn’t let Sharratt pull away. After the first game, Tyne Captain Nigel Pearman spoke to the younger Pearman and advised he plays to Del’s back hand corner. The youngster duly complied and Del just couldn’t find the swing of his back hand as Dylan rattled off the remaining games 15-7, 15-4, 15-3. Bested found the going difficult in this match, although Bensted had a mean serve that won him several points, Hamilton’s fast hitting meant Bensted was just a yard or so to short for most of the full length shots and with little time on the ball wasn’t able to fully control his shots. Hamilton took this for Tyne 15-6, 15-7, 15-10. Gala Veteran Spence, was making his first appearance of the season due to business commitments but had been playing plenty squash and wasn’t short on confidence. Both players were obviously skilful and fit with tight full length shots the story of this one, but the rallies were textbook up and down the walls but just the lapses of concentration from Spence led to several unforced errors mainly on drop shots and Dixon capitalised took the match 5-8, 15-8, 15-8. Kev Douglas came into this match oozing confidence after his victory previous week against Kirkaldys top seed. Kev has a knacl of starting slowly and working the opponent out as the match goes on. The first game was anything but slow and long rallies ensued as both players showed their quality, Kev seemed to have the edge on his returns and it led to him controlling most of the game and took it 15-10. Both players changed their style in the second game, Morrison was trying to read Douglas’s shots but Douglas varied his game enough and really had the edge over Morrison in most areas and took it 15-8. Morrison gave his all in the third and seemed to be able to return anything but Douglas’s disguised drop shots was enough to Get Gala’s first victory of the match 15-11 and 3-0. Pearman had a very unorthodox serve but it was obvious why both players were the number 1 seeds in the respective teams, Pearman found good width and length in his shots but Elliot motored around the court and returned everything Pearman threw at him, and just as Elliot was commanding the T-line Pearman would be just as good at returning whatever was given to him, the first two games reflect this and both went to sudden death in Tony’s favour 16-14, 17-15. The difference in the third game was that Elliot’s elite fitness meant he just refused to wilt and Pearman was running on empty as it was more straight forward for the Gala top seed and 15-6. Gala Captain Sharratt said afterwards “They all seem to be strong teams in the league, this is one of my best possible line-ups and I’m a wee bit disappointed we couldn’t take more from the match. It’s exciting to see youth being so eager and skilful at squash and if Dylan is anything to go by then the future of East of Scotland Squash is in safe hands. We have a Break in the season next week so I might look at some training for some of the squad players and work on movement and footwork. But no match is easy in this league. Gala made the daunting trip upto Kirkaldy minus some key players and this made it difficult for the rest of the team as the rest of the regulars had to play against tougher seeded opponents. 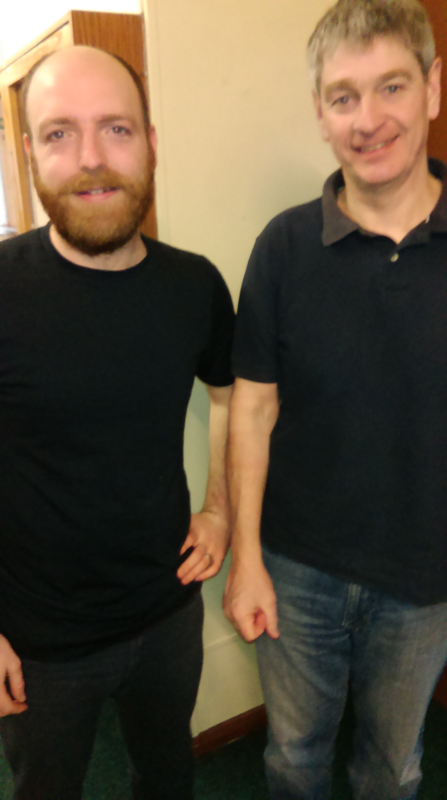 Squad Players Iain Gorman and Darren Quinn both lost their rubbers 3-0 to Robert Russell and Steve Creene respectively. Captain Del Sharratt scored Gala’s first point of the match but succumbed to a 3-1 defeat to the experienced Willie Schultz, Del was playing at no.3 seed where he would usually be no.5 so this was a tougher opponent that what Del is used to, but Del gave a good account of himself despite the loss. then Graham Bensted – playing at no.2 also lost 3-0 but it was tight games (15-11, 15-12, 15-9) and the rallies could really have went either way. Gala’s other points and only victory of the match came from Kevin Douglas – Kevin was playing at a higher than normal position but despite losing the first game 15-5, he rattled off the next three games 15-12, 15-13, 15-7 it had been a shaky start but the more the match went on the more Kevin was getting into his stride. Captian Sharratt said “It was always going to be difficult – I should have my top seeds back for the return leg in January so I am looking forward to the re-match. Next week we entertain Tyne District at home and I’m confident this can bring us our first league victory of the season. A strong squad from Gala squash Club made the journey up the A7 to Collinton Castle Squash Club for the latest round of the East of Scotland Squash Conference. 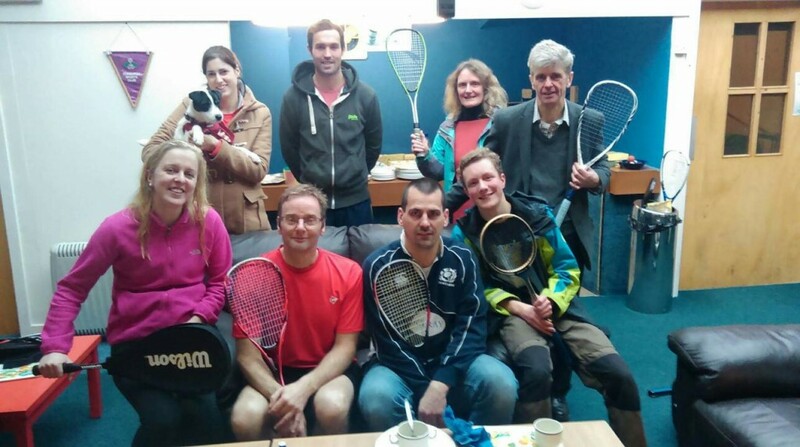 Pat Spence, Luis Molero, Del Sharratt (capt), Ruaridh Kohler, Rachel McAleese and Joy Borowska competed against players from The Grange, Watsonians, Edinburgh University and the hosts, Collinton Castle. The games were point-a-rally to 11 and 2 games per match – this was a short sharp format! Last time round at Gala the Borderers narrowly missed out and they wanted to make amends this time. The whole team played well and the event was opened by Gala Captain Del Sharratt taking the scalp of Edinburgh University’s James Cottam 2-0 (12-10, 11-8); this was followed by a series of draws as the games went Rachel McAleese 1-1 Evie Coley (Edin Uni); Pat Spence 1-1 Jim McConnell (Watsonians) and Luis Molero 1-1 Jamie Dalrymple (Grange); Ruaridh Kohler got Gala’s next victory beating Jame Turing (Edin Uni) 2-0; Joy found the going a bit tougher as she was out fought by Edin Uni’s Katy Welford 2-0 (12-10, 11-9)- Joy then had to withdraw from the tournament due to a hip injury. Del’s good form continued in the second round of games with a victory over South African player JamesTuring, then Pat Spence turned on the Skill as he triumphed 2-0 against local favourite, and last years player of the season, Gordon Robertson. There was a lot of long rallies in this one as the players covered every inch of the court but Pat’s concentration held out and he took the match. Luis Molero then beat Jim McConnell 2-0, Rachel beat Katy Welford 2-0 and Ruaridh got a second victory as his boasts and drop shots proved too clever for Edin Universities Anthony Bulling and he took it 11-7, 11-5. Gala’s Ruaridh Kohler maintained a 100% Record beating James Cottam 2-0, Del drew 1-1 with Anthony Bulling, Pat beat Grange top seed Jamie Dalrymple 2-0, Rachel beat Prateek Bawa (Edin Uni) 2-0 and in what is proving to be a bit of a rivalry now Gordon Robertson was victorious over Luis Molero. Ruaridh and Mark Hooper (Grange) got joint man of the match awards as they were both 100% victorious in the event. In the overall team scores Gala regained the title with 24 pointe, The Grange 21, Edin Uni 11, Watsonians 7 and Collinton Castle 7. Several of the players after the event . 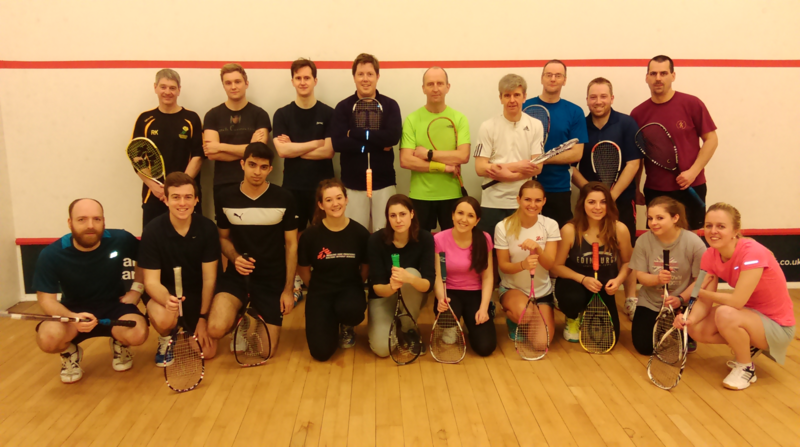 On Saturday 12th Dec an Edinburgh select team travelled to Gala for the second round of the East of Scotland Squash Conference. 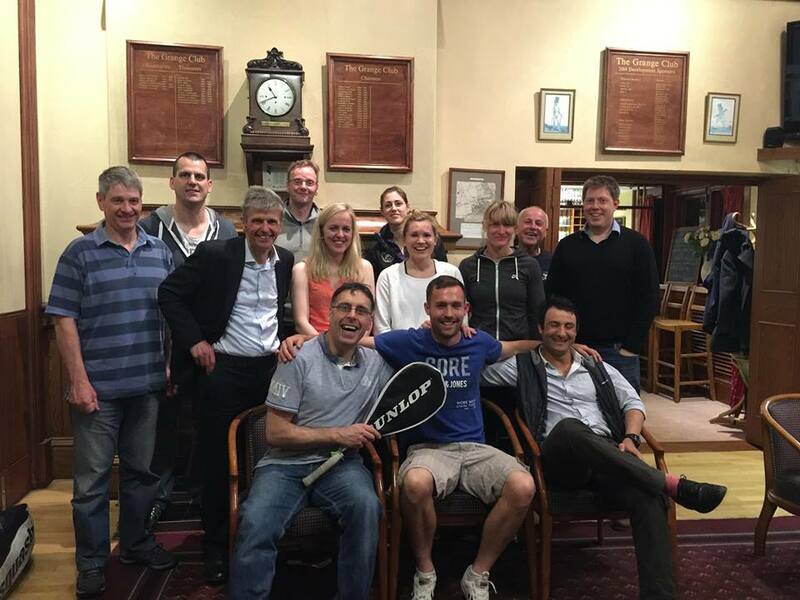 In the previous event Gala had triumphed at Grange Squash Club and this time were hoping home advantage would ensure another victory. The Edinburgh team consisted of Christy Looby, Shane Martyn and Laura Robertson from Grange, Jim McConnell (Watsonians), Gordon Robertson (Collinton Castle) and Guest Cameron Saetre. Although the Gala team included the Club Champions Andy Gill and Rachel McAleese, as well as Luis Molero, Del Sharratt, Ruaridh Kohler and Sarah Hale – the Edinburgh select team proved too strong as they won the key matches. Laura Robertson of Edinburgh was Player of the Match as she made quick work of Sarah Hale (3-0), Rachel McAleesae (2-1) and Ruaridh Kohler (2-1). Gala’s top seed Andy Gill put up the best fight with victories over Jim McConnell (2-1) and Shane Martyn (3-0), but it was all too little to late as Edinburgh select won 27-23. Luis Molero 2-1 Gordon Robertson, Jim McConnell 2-1 Ruaridh Kohler, Andy Gill 3-0 Shane Martyn, Laura Robertson 3-0 Sarah Hale, Cameron Saetre 2-1 Del Sharratt, Andy Gill 2-1 Jim McConnell, Gordon Robertson 2-1 Del Sharratt, Luis Molero 2-1 Christy Looby, Laura Robertson 2-1 Ruaridh Kohler, Cameron Saetre 2-1 Sarah Hale, Rachel McAleese 3-0 Sarah Hale, Shane Martyn 2-1 Luis Molero, Gordon Robertson 2-1 Andy Gill, Jim McConnell 2-1 Del Sharratt, Laura Robertson 2-1 Rachel McAleese, Shane Martyn 3-0 Ruaridh Kohler, Rachel McAleese 2-1 Cameron Saetre.